Strange little bit of trivia for you. Only Sandy Koufax won the Cy Young unanimously three times. Didn’t know that! Thanks, v! 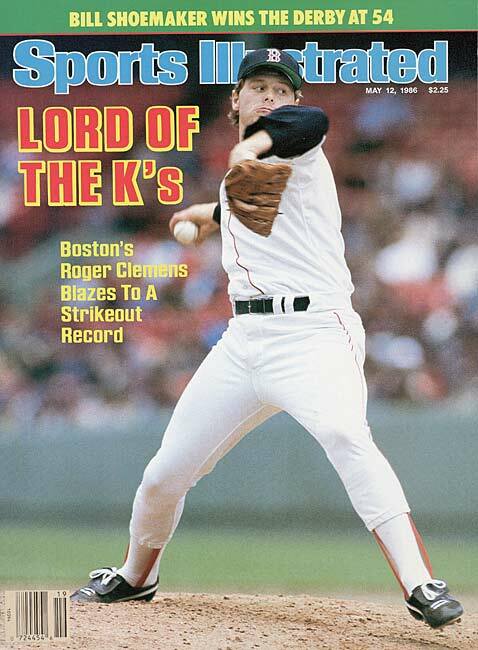 The great old days of Clemens before he became a bit of monster. When they elected him into the Red Sox HOF, it seemed like Jerry Remy in the booth was in a big hurry to get him out of there and they did, in like 5 or 10 minutes. The swiftness really stuck out because the next two visitors and Red Sox HOF inductees- Garciaparra and Pedro they kept around for close to 30 minutes. Such a sad ending to Clemen’s career, but whatever, he was great in those Red Sox years…maybe the best ever, at least to watch on TV. I’ll have to find a video of that. I’m curious now to see it. It’s from August 14, 2014. The Astros were visiting Fenway, kind of a great in itself. Throw in the HOF ceremony and Shazam! Do you have a subscription to mlb.com? I think archive games can be viewed? Unfortunately, I don’t have the technology or know how to extract a segment from the game and upload it to you tube, but i may be able ot record the audio on a stand alone recorder and then upload that. I’ll give it a try. On a side note, the you tube uploader – ClassicMLB11 is prolific in terms of quantity uploaded. You may enjoy browsing through his extensive channel.